Cite this page: Lieberman, J.A. 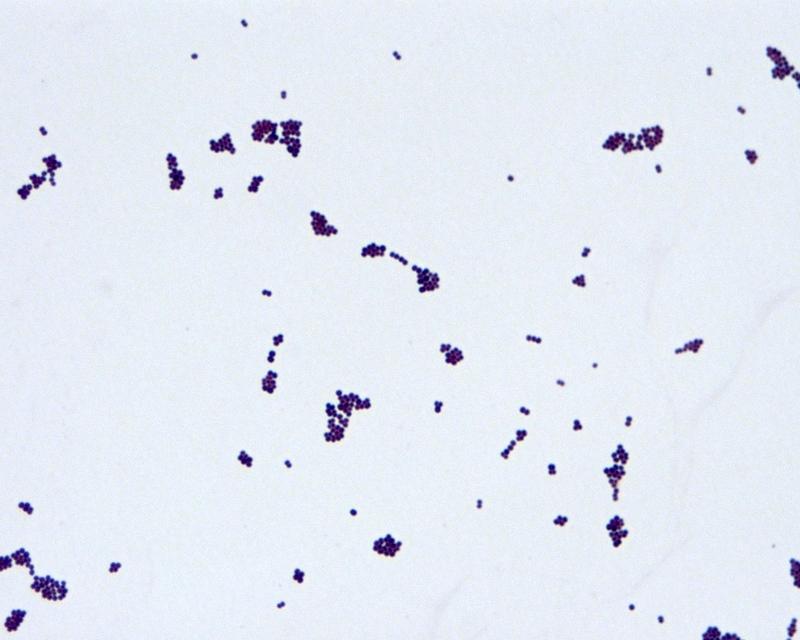 Staphylococcus sp, coagulase negative (not S. aureus). PathologyOutlines.com website. http://www.pathologyoutlines.com/topic/microbiologystaphylococcus.html. Accessed April 23rd, 2019. Contributed by Joshua A. Lieberman, M.D., Ph.D.
A. Altered penicillin binding protein. 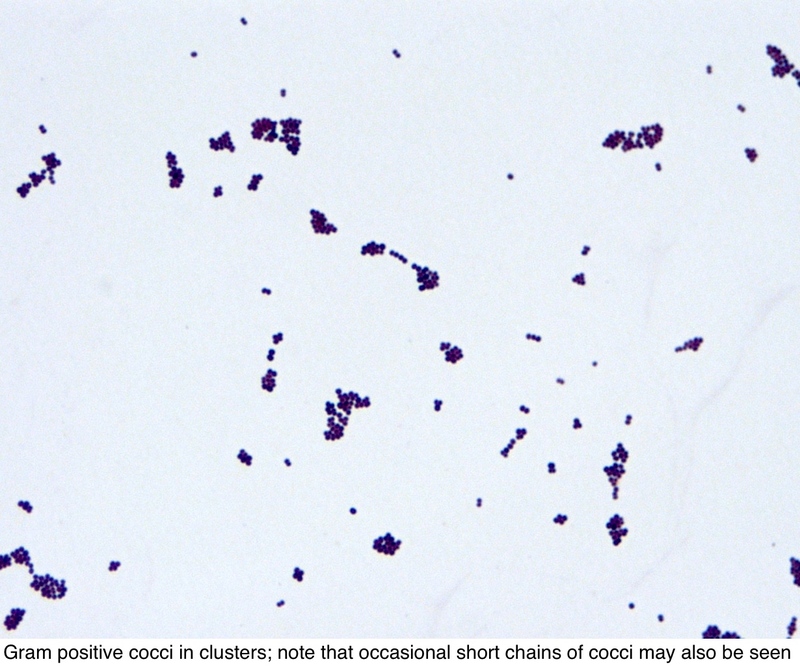 The image shows Gram positive cocci in clusters. PBP2a, an altered (low affinity) penicillin binding protein, is the product of the mecA gene, and mediates oxacillin / methicillin resistance in staphylococci. Answer B is incorrect because although many Staphyloccoci strains are resistant to a variety of beta-lactam antibiotics, the extended spectrum beta lactamases (ESBLs) are a specific class of enzymes that destroy a wide range of beta-lactam antibiotics, and these are found in Gram-negative pathogens, particularly Enterobacteriaceae. Answer C is incorrect because mutations in DNA gyrase confer resistance to quinolone / fluoroquinolone antibiotics. Answer D is incorrect because point mutations in the 23S rRNA gene confer macrolide resistance, especially in Helicobacter pylori, by altering drug binding sites. Answer E is incorrect because porins are outer membrane proteins only found in Gram negative organisms. 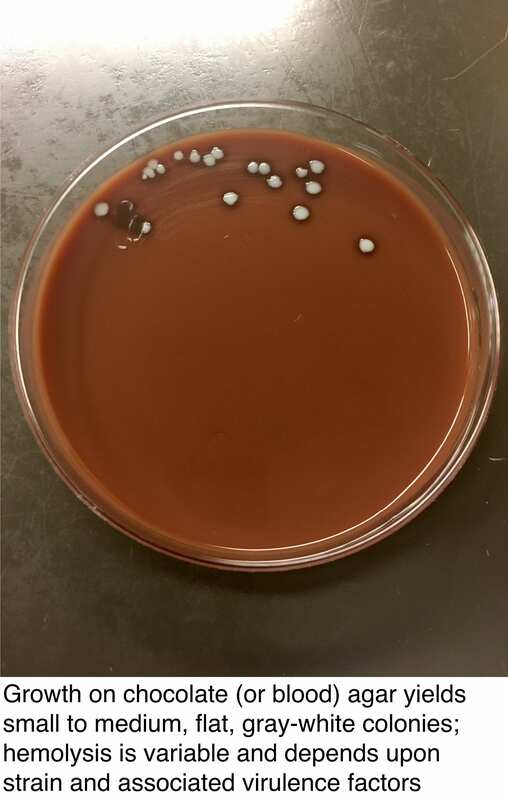 Porin mutations can block or reduce drug influx and drug effect; examples include Acinetobacter baumanii and imipenem and Pseudomonas aeruginosa and tobramycin.